When advertisers and sponsors first became involved in the anime business, it was tentative and haphazard. Masaki Tsuji reports phone early calls arriving at TV Asahi from pencil manufacturers and card companies, who wanted to stick some of the earliest 1960s characters on their merchandise. When he picked up the phone, he realised that, quite by accident, the TV channel completely owned the relevant rights in Eightman. By the time of Sailor Moon, interests in tie-ins had ballooned to such an extent that one beleaguered Bandai official complained he had “literally no time to go to the toilet” when the phone was ringing. Literally…? But how can sponsors get returns on their investment, apart from advertising in the commercial breaks? There is, of course, simple product placement, where cans of soft drink, storefronts and even blatant advertising billboards are placed in-shot. This is mostly harmless, although if you have a fantasy film like Berserk, it’s difficult to have the cast setting aside their roast dolphin for a Happy Meal. 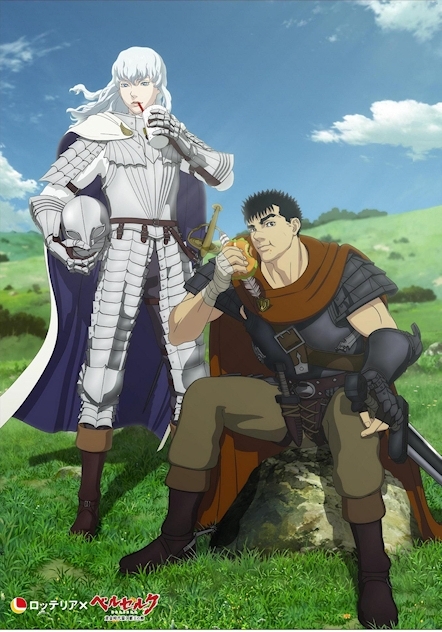 In such cases, extra artwork is often generated, such as the Lotteria tie-up campaign, which featured the powerful mercenary Guts and albino general Griffith tucking into a hamburger and a milkshake. 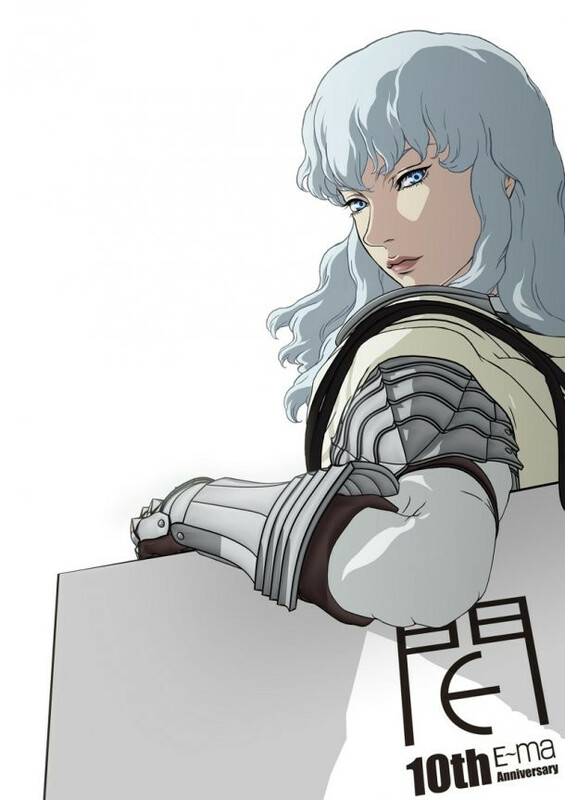 The androgynous Griffith was also depicted with a shopping bag over his shoulder, looking like a Lady Who Lunches, in a campaign for a department store. But some anime go beyond product placement into context integration – imagine a hypothetical anime movie, let’s call it Schoolgirl Milky Crisis Goes to London, where five minutes are set aside for characters to travel on a well-known airline, and then get mixed up trying to locate their hotel, causing them to repeat its name a dozen times. But this has been going on in anime for decades, most notably with the Gundam series, for which a company wanted its toys to be part of the story. Yoshiyuki Sadamoto once called Yoshiyuki Tomino the “pro’s pro”, for being able to take such behind-the-scenes demands and to fashion them into a story that still entertained the viewers. It’s being able to still be creative, amid such immovable limitations, that contributes to the unique look and style of anime. Jonathan Clements is the author of Schoolgirl Milky Crisis: Adventures in the Anime and Manga Trade. This article first appeared in NEO #106, 2012. The public-lending right results are in, totting up my royalties from British library loans this year, with no real surprises to regular followers of this column. My samurai history is at number one, but the Spartacus novel goes straight into the charts at a respectable number four, with only six months to earn that level. As ever, this is the list of books with my name on them. My top-earning book, for the tenth year in a row, is actually an obscure children’s work I wrote under a pseudonym in a long weekend. You never know what’s going to bring in the cash. If you are a Kindle user in the UK, both my Brief History of the Samurai and Brief History of the Vikings are available now for download. I read a lot of travel books about China, ranging from the sublime to the infuriating, from the clueless observations of disinterested tourists, to the considered memoirs of people who live and work in China for years on end. There’s also a wide range in intent, from simply telling one’s relatives about what one’s been up to, to the first book up for review today, which chronicles the “making of an American president” by publishing his forgotten account of a period spent as Our Man in Beijing. George Bush Senior’s China Diary is fascinating, as the Party cadre flees America in the wake of Watergate, and volunteers, much to his superiors’ bafflement, for a posting to China, long before the US and China had normalised relations. Bush is hence an ambassador in all but name in the dying days of Chairman Mao, biking around Beijing and attending endless rounds of parties with other diplomats. Barbara Bush, meanwhile, risks causing an international incident at the hair-dressers, where she strikes up a friendly conversation with a woman who turns out to be the Cuban ambassador’s wife. As a result of his non-official status, Bush represents a global superpower but comes lower down the pecking order than the ambassador of Gabon, and hence must exercise extreme diligence not to be caught out in the cold at photo calls and banquets. What struck me most about his memoirs was how many of the names of his fellow diplomats were familiar to me. Party politics will get you on the diplomatic track, but so will knowing a hell of a lot about the country in question, so I suppose I shouldn’t be surprised to see people like Jan Vixseboxe (Netherlands ambassador) and Ann Paludan (wife to the Danish ambassador), whose work I know better as “scholars”, popping in for tea and caviar. 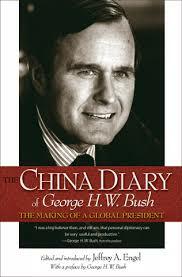 Bush narrated his diary into a Dictaphone that was transcribed many years later. Jeffrey Engel edits and annotates the messy original by correcting solecisms and adding copious footnotes, sometimes critical of the author himself. 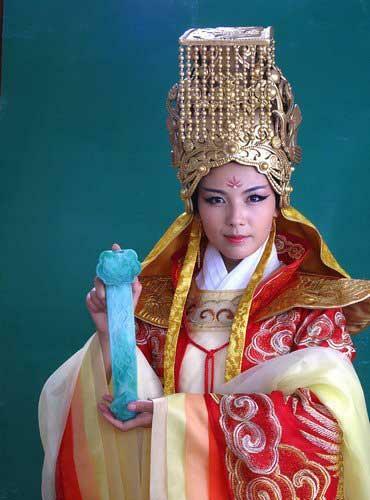 Published in 2008, the China Diary is oddly obscure – I only stumbled across it by accident, and was rather surprised that I had never bumped into it before – it’s not on the shelves at the London School of Oriental and African Studies, for example. And it’s not available on the Kindle (time travel footnote: now it is), a device which has hoovered up £400 of my book spending since I succumbed to digital devilry in September. One of the joys of Kindle access is that it is possible to charge what the market will bear. 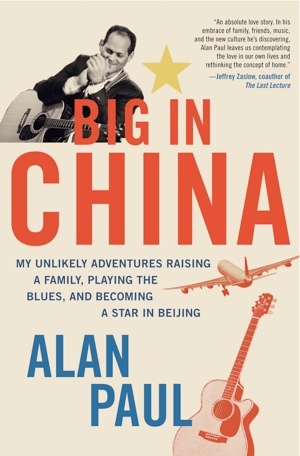 I enjoyed and greatly appreciated the unique sections of Alan Paul’s Big in China that were about his expat life as a corporate househusband, but rapidly lost interest when he drifted into (for me) tedious reminiscences about his band. This isn’t any fault of the author; it’s plainly something that interests him greatly. Unfortunately, it interests him so much that he stops talking about China in order to talk about guitar strings and music clubs, about which this reader does not give a toss. Don’t get me wrong, Big in China was an enjoyable book, but I would have enjoyed it a lot more if it had cost me a third as much. I might have been similarly put off by Leanna Adams’s Pretty Woman Spitting, but in pragmatically charging me a mere 77p to read her China diary, the author ensured that I finished it with a smile on my face, feeling that my money had been well spent. Despite conceding that she knows very little about China, and peppering her book with questionable statistics and outright apocrypha, Adams has an eye for detail and character that makes her writing entertaining and worthwhile. She also constructs a proper narrative for herself, turning what could have easily been a series of random diary entries into a character arc of growth, love, loss and learning. Pretty Woman Spitting is a well-written and carefully balanced account of an American woman in China – the title itself is a fair encapsulation of Adams’s innate ability to find drama and poetry in the most mundane of situations. Sometimes it seems that everyone and his dog has a China memoir about the time they spent trying to pronounce the words for “I NO WANT CHICKEN HEAD” to uncomprehending waiters, but coming back such books after several years evaluating anime industry testimonials, I have come to regard them in a new and indulgent light. Historical researchers will sympathise, perhaps, with having to hunt around in obscure library collections for forgotten, hand-written travel diaries from the distant past, many of which only reach a larger public when a distant descendant or relative edits them for a PhD. The internet and e-Books makes such pieces immediately and widely available in real time, chronicling hundreds of snapshots of life in a fast-changing country. I find it fascinating, as a historian, that I can read such testimonials as reportage, and eavesdrop on the contemporary China experience of total strangers. Rated in such terms, Chris McElwain’s Dispatches from Crazytown is similarly great value: informative about life in Xi’an, and laugh-out-loud funny, at a cost of approximately 15p per chuckle. McElwain, like Adams, arrives in China as a teacher, but approaches his experience with merciless snark. Openly confessing that his book is the ramblings of a “confounded yokel”, he seems to court trouble, initiating a Frisbee competition at the tomb of the First Emperor, and contemplating exactly what he is supposed to do with the live catfish he can buy at the local supermarket. There is a very fine line between hostility and humorous observation, but McElwain keeps resolutely on the right side of it – he loves China, but is unafraid of puncturing its pomposities when the opportunity arises. Jonathan Clements is the author of Mannerheim: President, Soldier, Spy, now out on the Kindle.